Nothing prepares this mother for the helplessness that follows when her attempts to steer her daughter back on course fail, and Pearl shuts her out . . . or when Barrie discovers the unthinkable about her nemesis, the football coach. 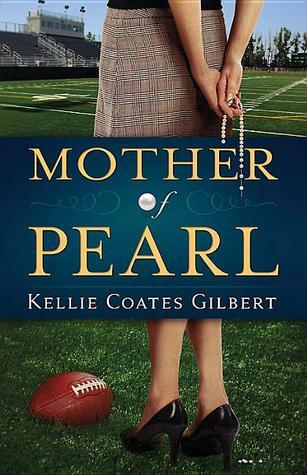 Kellie Coates Gilbert walked a unique path to becoming a novelist. Her thirty years as a legal investigator and trial paralegal led her to courtrooms big and small, working on cases that often made the evening news. Working directly with survivors of unspeakable tragedies, Kellie learned the most compelling stories don’t show up in the legal aspects of a case, but in the lives of the people involved. You are going to want to remember the name Kellie Coates Gilbert. In the back of her debut novel, Mother of Pearl, she says that she writes stories about messy lives and eternal hope. She has definitely done that with this book. At one point the main character, Barrie Graeber, says that mothering isn’t for cowards. Little does she know how true that statement is going to become. She and her beloved family are busy living the good life when an unexpected turn of events changes everything. It really is every mom’s worst nightmare. Everything that Barrie thought to be true about her family seems to have been turned on end. Barrie finds out devastating facts about her daughter after it is too late to do anything about it. She learns that her supposedly rock solid relationship with her husband has some cracks. She also learns that everything isn’t always as it appears to be. Sometimes friends come from unexpected places and loved ones have motives that you don’t understand until you’ve walked their path. If you are a momma, I can guarantee that this book is going to stir you up. Once you start reading this your eyes are going to be opened and self-evaluation will begin. It has been a while since a book has stirred such righteous indignation in me . . . but this one has done it!